Posted on January 30, 2014 by Peter Schilling Jr.
Eraserhead review by Trylon volunteer Dave Gomshay. This time of year in Minnesota provides ideal conditions for sinking into David Lynch’s Eraserhead. The midwinter weather has by now encrusted everything in dirty shades of black and white. A lonely wind howls constantly. Cabin fever is making you tense, paranoid, and a bit loopy. You warm yourself by the hissing radiator that may or may not have a little lady nestled in its heart. Eraserhead’s Henry Spencer lives in this kind of world for eternity. Welcome to his fever dream. Is there a more hapless hero than Henry? His hair flares out from his head as if trying to flee the premises before things get even weirder than they already are. Wearing a perpetual look of consternation on his brow, Henry doesn’t purposefully navigate his way through his environment as much as he shuffles from one bewildering predicament to another. Henry is really just a simple guy trying to make his way in the world. But hoo boy, what a world. Everyday objects and events that are normally innocuous in our humdrum lives become threatening and otherworldly in a heartbeat in Henry’s world. Surprisingly, this also makes for some moments of great comedy. We are introduced to Henry as he finds his way home through a barren industrial graveyard, surely the worst neighborhood on Earth (if it is indeed on Earth.) Soon we are witnessing Henry having dinner with his estranged girlfriend, Mary X, and her peculiar family, a scene that is best described as Extremely Awkward. Before long, Henry and Mary are saddled with a not-quite-adorable baby swaddled in bandages, though, truth be told, “the doctors aren’t sure it even IS a baby!” All the while, Henry finds his troubling affections torn between his anxious girlfriend, his mysterious and seductive neighbor across the hall, and a happy-go-lucky lady who likes to smile and sing, and who just happens to be living in his radiator. Life is complicated for Henry. Then things get much more complicated. Things aren’t necessarily less complicated for the viewer. It would be best to check your real world logic circuits at the door. Henry is our sympathetic guide through the surreal. He’s unsettled, ambivalent, and unsure of what to say or do in circumstances that would baffle anyone. Lynch, well-known for his decades-long devotion to Transcendental Meditation, claims this is his most spiritual film, and indeed the seemingly mundane bristles with a chaotic, animating energy: light bulbs, radiators, and even, um, dead chickens flare to a kind of life as if another dimension is starting to crack through. As one character croons to Henry about heavenly bliss, her soothing, mantra-like lullaby seems to contain all the secrets of the universe. Lynch is equally obsessed with the gritty and intricate machinery at work within objects both living and dead. He shows us what lies beneath the surface of things, often in ways we’d much rather he not. (Let’s just say that Henry struggles at being a good dad.) Adrift in a decaying landscape, repulsed and entranced by the body in its many states, Henry Spencer certainly grapples with his material existence and a potentially transformative salvation. It’s a wonder that Lynch’s first feature film ever got made, let alone found an appreciative audience. It took years to complete, during which time Lynch held down a part-time paper route and basically lived 24/7 on the set (the abandoned back lots of the American Film Institute where he was a student for a while). Production proceeded in fits and starts. The tiny but dedicated crew consisted of friends and fellow oddballs who would become regulars in later Lynch films. When it was finally released in 1977, the movie somehow did not achieve the blockbuster status of that year’s Star Wars but instead grew in popularity only slowly over time, finding its niche on the burgeoning midnight movie circuit. 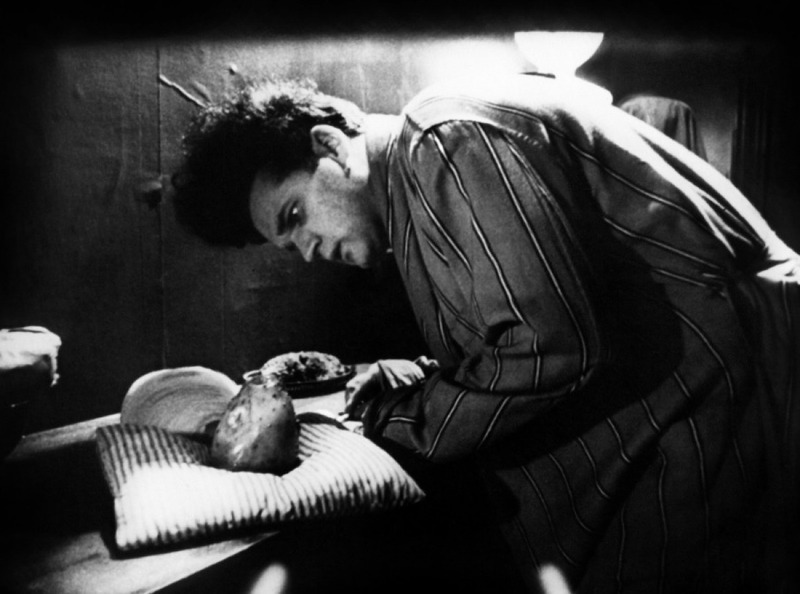 Eraserhead manages to be simultaneously gorgeous and grotesque, truly horrifying and truly funny. Few film debuts show a young director so confident and preternaturally talented in his (very) unique vision and its execution. This weekend in the Trylon microcinema, everything is fine. Dave Gomshay grew up in the untamed wilds of suburban Long Island but has called Minneapolis home going on twenty years. He is interested in religion and mysticism, and he also enjoys reading weird fiction, noodling around on untuned guitars, and meditating like the dickens. Eraserhead screens Friday and Saturday at 7:00 & 8:45, Sunday at 5:00, 7:00, & 8:45. Purchase tickets here. BAM! Tom Tykwer Twice at the Trylon! Posted on January 23, 2014 by Peter Schilling Jr. This weekend, the Trylon’s happy as heck to present two films from one of our favorite filmmakers, Tom Tykwer. We open with perhaps the most fun we’ve ever had in an arthouse theater, Run Lola Run, in which our eponymous hero has to try and raise a bundle of cash for her boyfriend, less he gets blown away by some thugs. Lola races through Berlin not once, but in three totally different scenarios (once as a cartoon heroine,) in her desperate attempt to save her lover’s life. All this to some insane German Techno music! Rarer still is Tykwer’s previous effort (Lola put him on the map), Winter Sleepers, a complex and melancholy film in which five people with profound secrets collide, physically and emotionally, at a remote ski chalet. 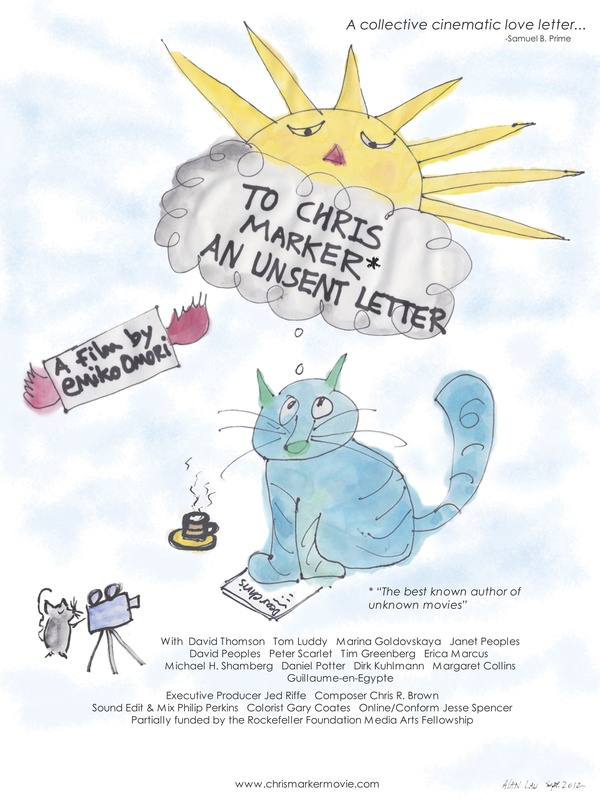 Don’t miss this rare screening! Run Lola Run screens Friday at 7:00, Saturday at 9:15, and Sunday at 7:15 (PLEASE NOTE THAT TIMES IN THE PRINTED CALENDAR ARE INCORRECT!) Purchase tickets here. Winter Sleepers screens Friday at 8:45, Saturday at 7:00, and Sunday at 5:00. Purchase tickets here. In 1978, Minnesota native John Hanson, along with collaborator Rob Nilsson, wrote, produced, edited this stark, humanist portrayal of farm life and the leftist agrarian history of North Dakota. This debut film won the Caméra d’Or at Cannes. Starring non-professional actors and shot in a winter even colder than the much-feared Polar Vortex, Hanson and Nilsson’s passion for North Dakota and early American leftist politics shine through the obvious difficulties they had in making the film. The film, in a brand-spanking-new 35 mm print, is the obvious star of the weekend. But we’re doubly honored to have co-director John Hanson with us at the 7pm show on Friday, January 17th. Be sure to ask him about that Vortex, so that he can tell you what a real winter is like. Normally I’d give you a trailer or clip of the film to whet your appetite, but the Internet is coming up empty. However there is a fantastic article about the film over at Film Comment. Enjoy! Posted on January 13, 2014 by Peter Schilling Jr. There was a period in my early twenties where war films took up a large part of my film viewing, particularly films that portrayed the part of the philosophical soldier–always questioning the authenticity of war, or rather, a more humanistic approach. 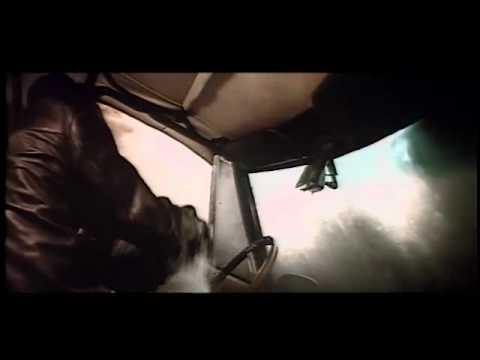 Definitely not the generic “heroics” of most 50s-60s Hollywood war films, with their chiseled-chinned good-ol’-boys grinning while blowing up a U-boat, barely breaking a sweat. Obviously there are exceptions to that formula, but the typical ease and lack of grit was something that wasn’t portrayed nearly as often in Vietnam war films, especially films made by younger directors that were directly impacted by the social upheaval in America in the 60s and 70s. With this youthful enthusiasm and cynicism a more realistic vision of war emerged, especially in the intimate documentaries like Hearts and Minds and the important character studies of Oliver Stone’s and Francis Ford Coppola’s classic anti-war films, a trend which continues to this day. 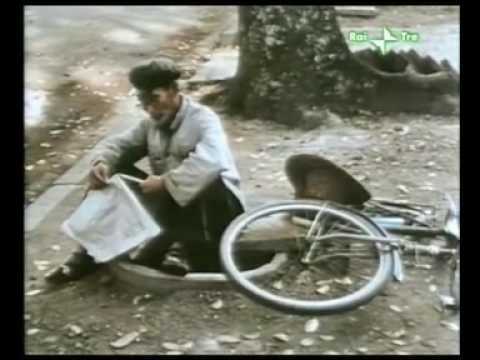 Far From Vietnam (Loin du Vietnam) is presented in a series of montages by prominent, mostly French, film directors, as assembled by Chris Marker. 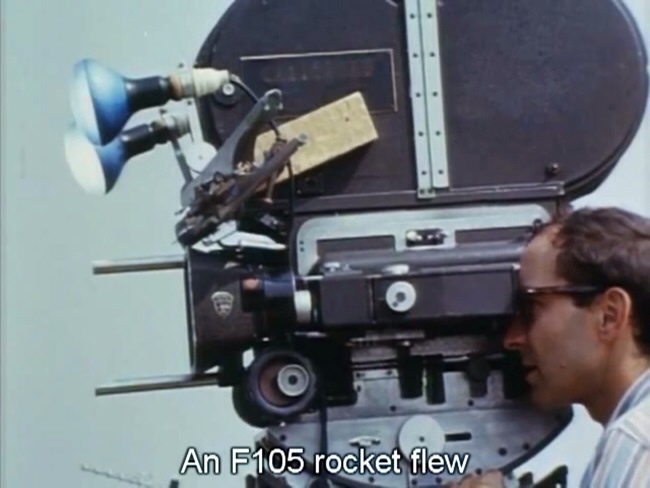 It is filled with typical stock footage of anti-war protesters, a strange Godard segment where the camera focuses on Godard himself in various angles as he talks and moves another camera around, and a stilted exposition from a rather bad French actor on some generic philosophy with an attractive women staring awkwardly at him as he expounds and emotes with extreme gesticulation. There is also an interview with Fidel Castro presented in a intriguingly staged jungle locale in typical guerrilla garb where he restates many of his viewpoints on armed struggle and shows support of the Vietnamese people. He reiterates Che in the need to create “many Vietnams” so the peasants can throw the yoke of exploitation – a viewpoint defended by the filmmakers. The most interesting and important segment is the history behind the war from the French perspective, based on their multiple, decades-long colonization and downfall directly caused by the paramount failure at the battle of Dien Bien Phu in 1954. There, thousands of French died and many more thousands were wounded and captured, including two American soldiers killed in action, information of which was only recently declassified in 2004. This path to America’s involvement is typically passed over, particularly the fact of America’s involvement in Vietnamese politics reaching as far back as the early 50s. Bernard Fall’s excellent and exhausting book Hell in a Very Small Place: The Siege of Dien Bien Phu (1967, J.B. Lippincott Company) explores in great detail the amount of money and strategy tossed around in preparation for this battle–as the pages go on, the absurdity level increases while simultaneously respect for the Vietnamese increases more quickly. The tale of modern Vietnam is the classic story of a group of people rejecting imperialist ideals and exploitative colonialism for centuries, a rejection that many powerful countries continue to ignore out of arrogance and greed–a general theme in Loin du Vietnam’s nearly two hours. Much of the documentary portrays that youthful protest and longing explored in the Vietnam war film canon I was weaned on. Despite its flaws, I recommend it as a good starting point to further study of the battle of Dien Bien Phu, and as a refresher of alternative viewpoints to modern American media coverage of war and all its humanity so highly exploited. Far From Vietnam (Loin du Vietnam) screens at the Trylon microcinema Monday and Tuesday at 7:00 & 9:15. Purchase tickets here.